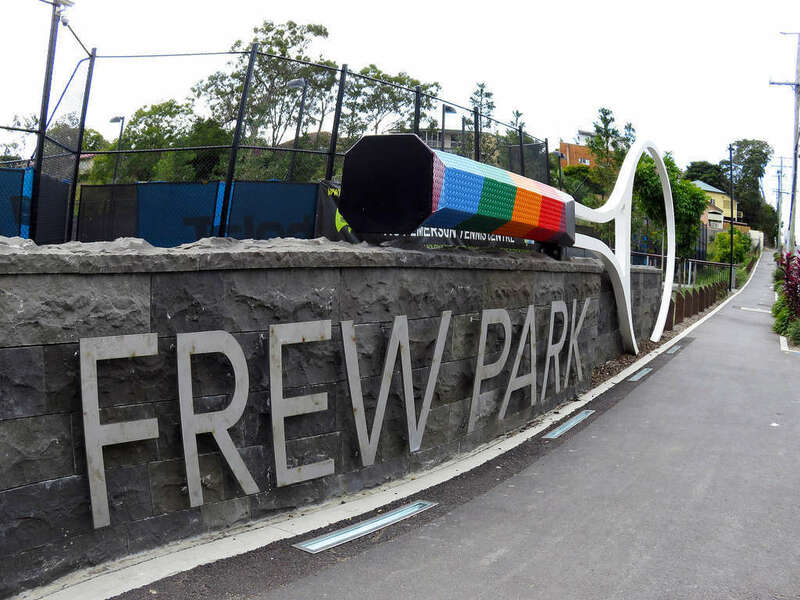 Frew Park stands on the hallowed grounds of the iconic Milton Tennis Centre, where everyone from Australian tennis greats to international rock stars and boxers once held court. 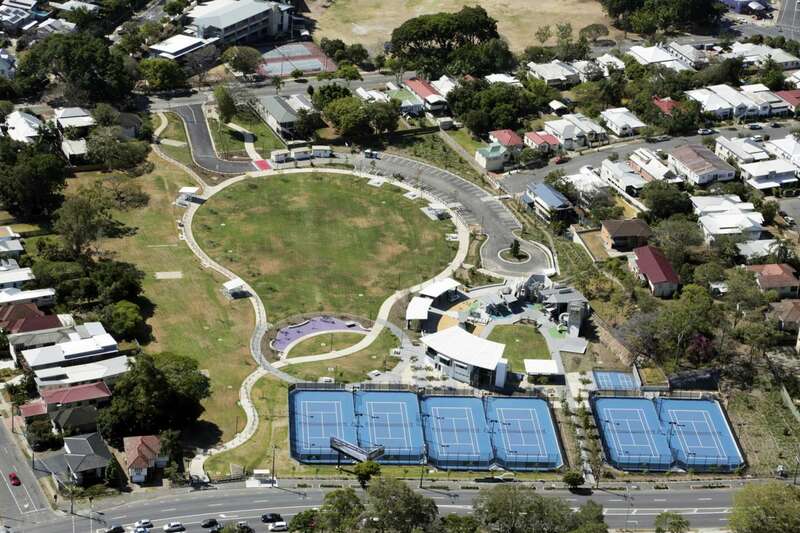 The 3.5 ha parkland is named after the father of Queensland Tennis Robert Dickson Allen Frew. 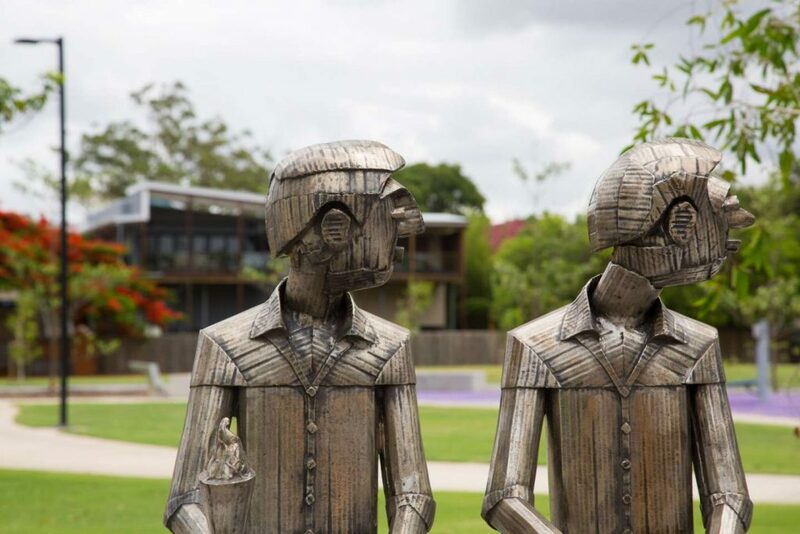 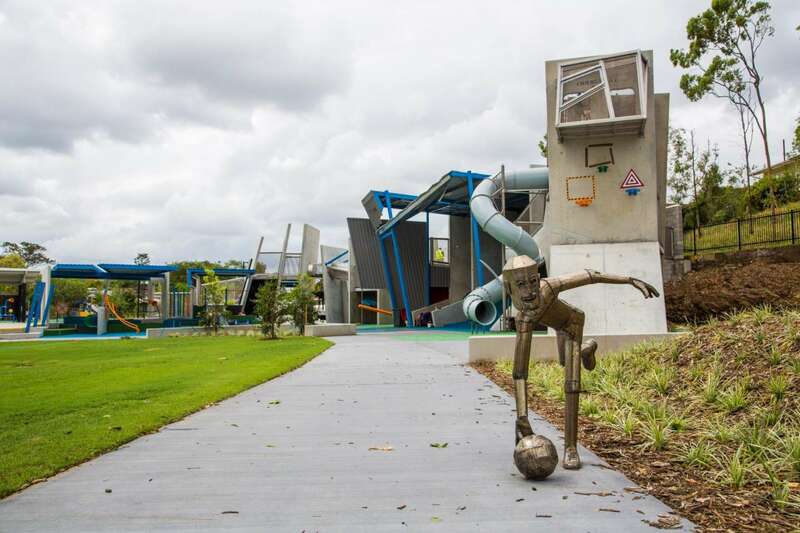 Dotted along the paths that wind the park, are sculptures that pay homage to the park’s history, from children with tennis rackets and spectators holding ice-creams to bowling balls. 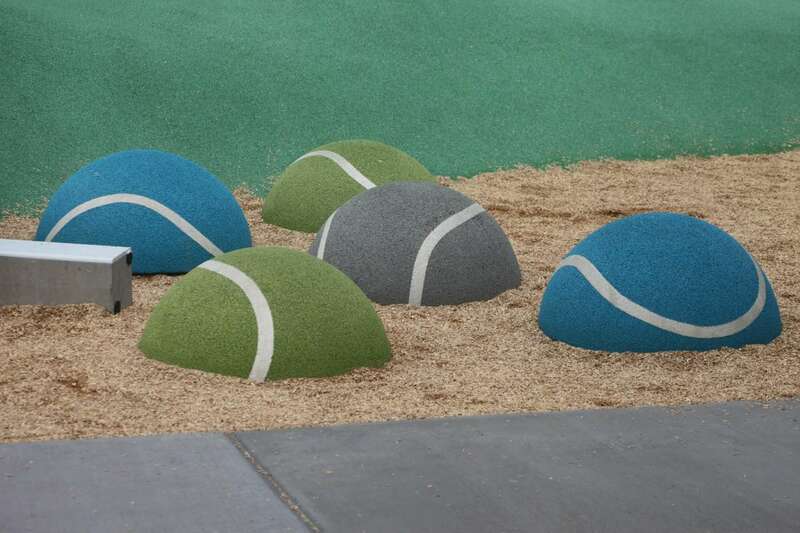 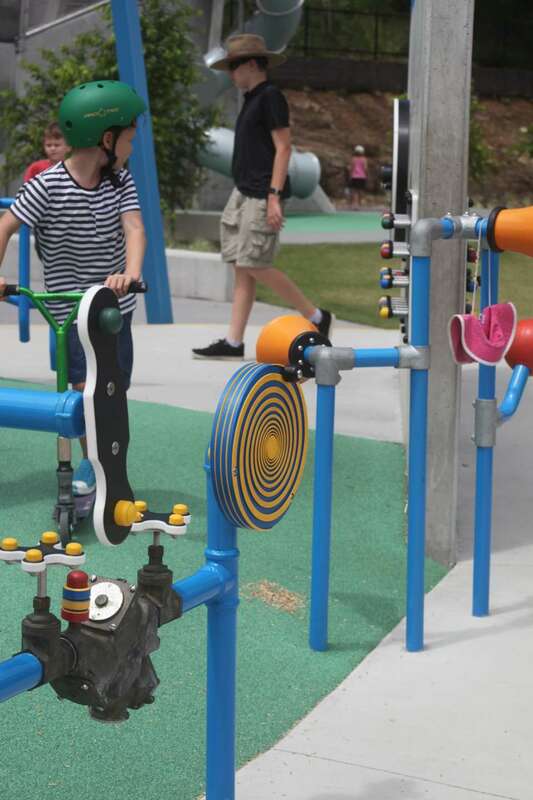 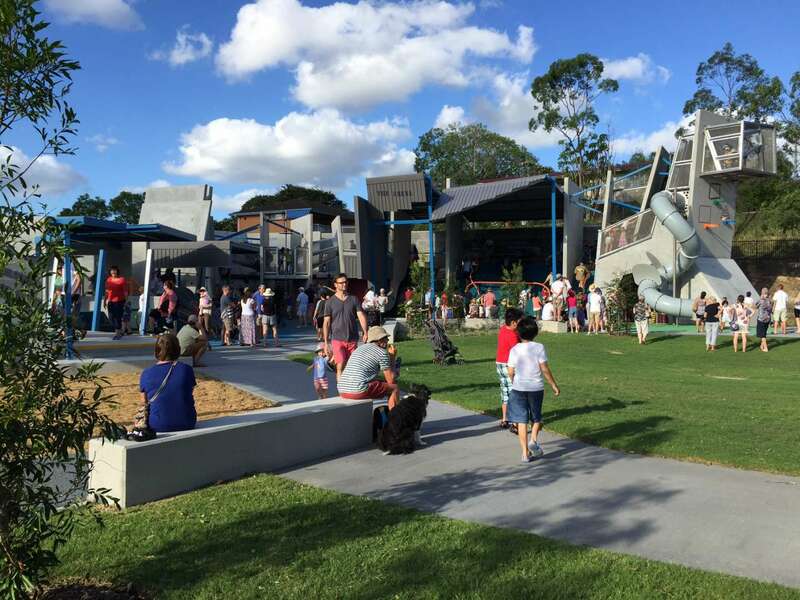 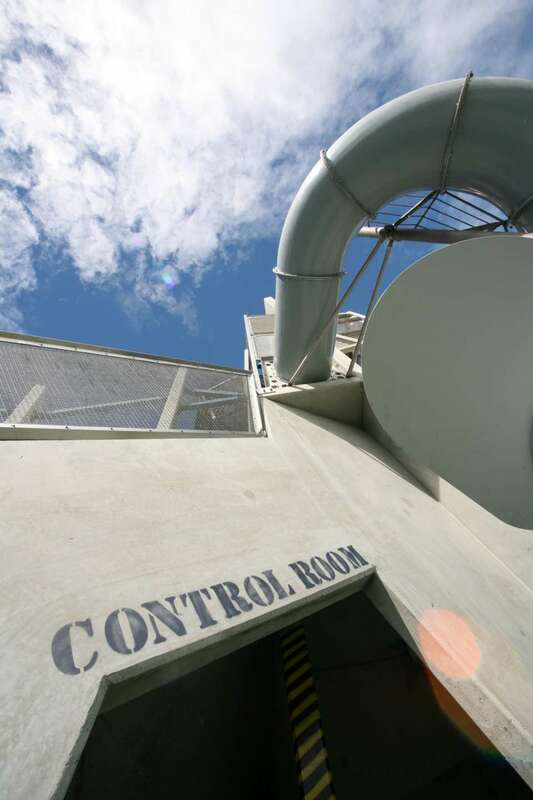 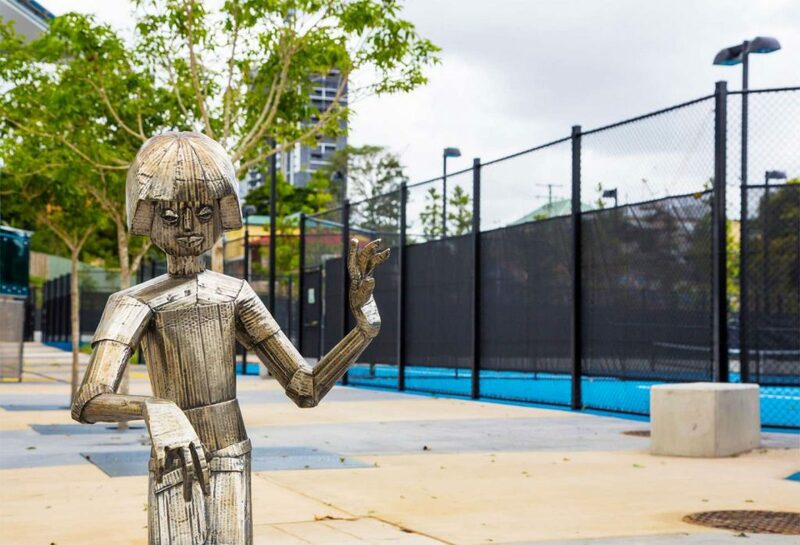 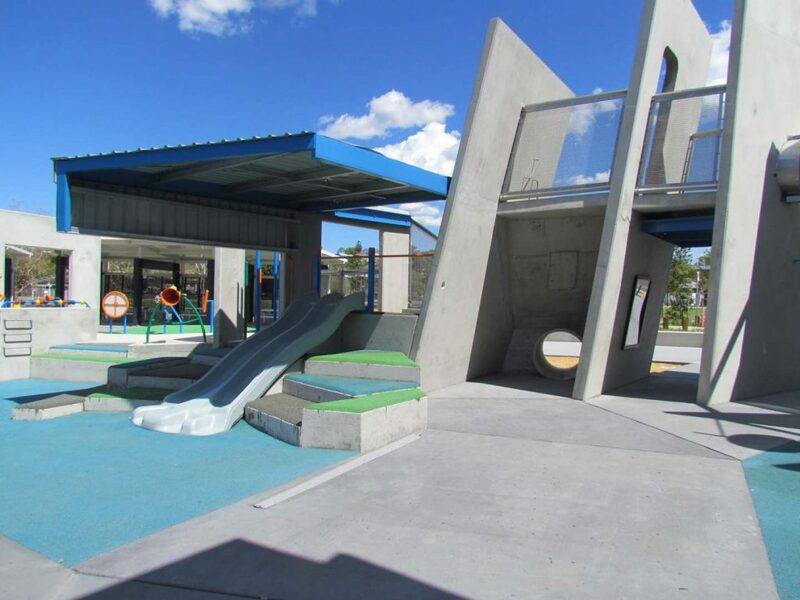 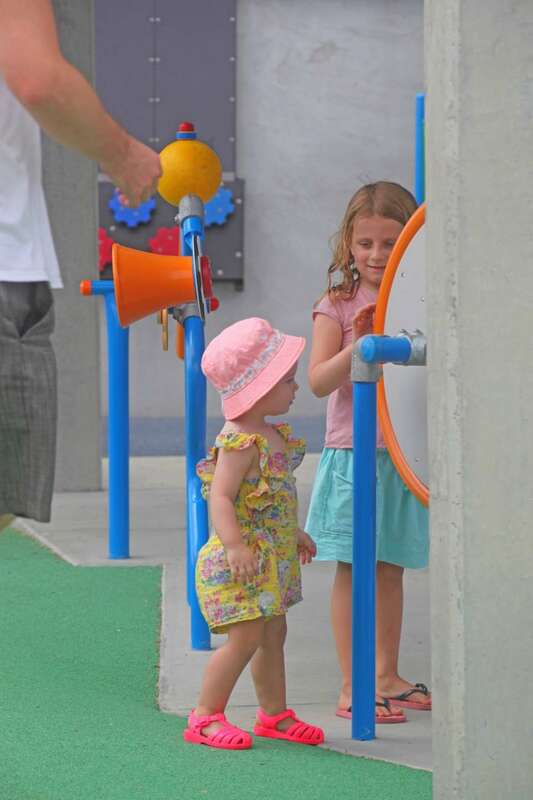 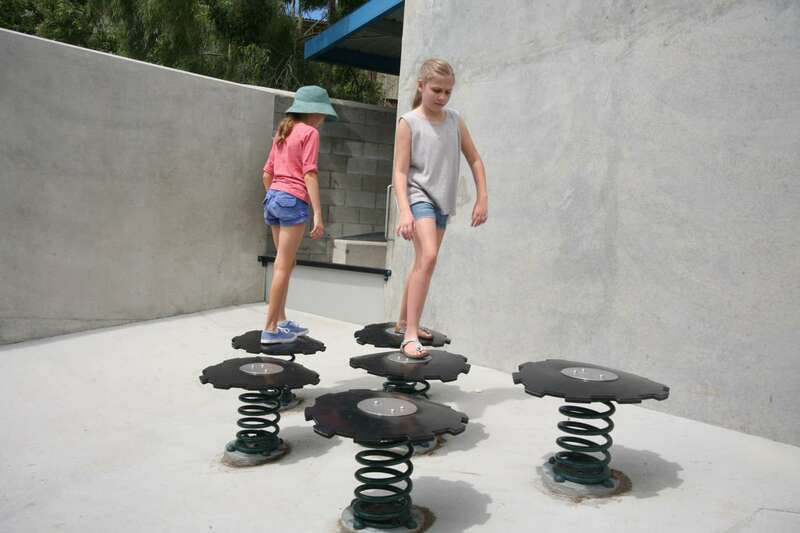 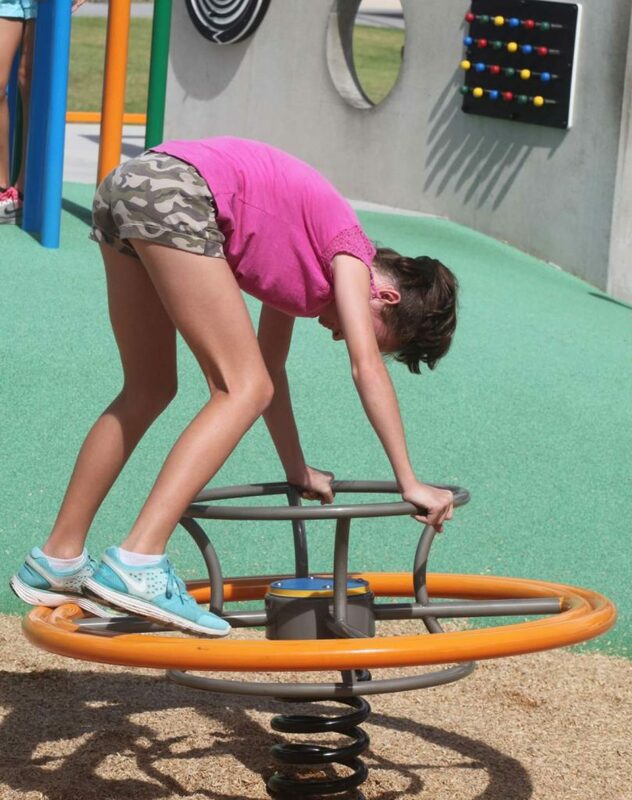 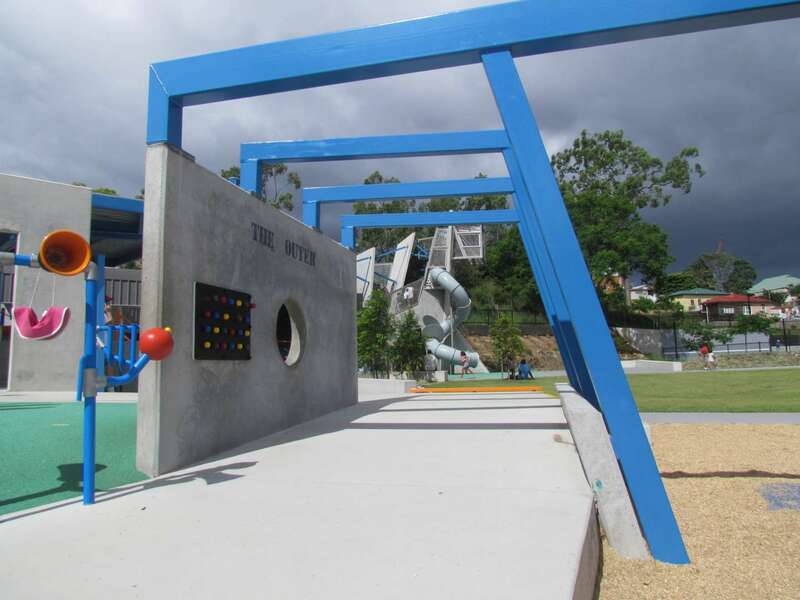 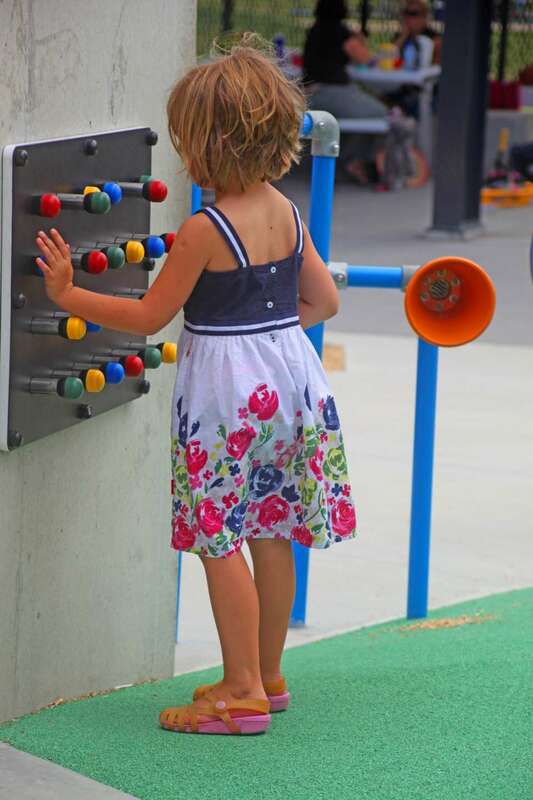 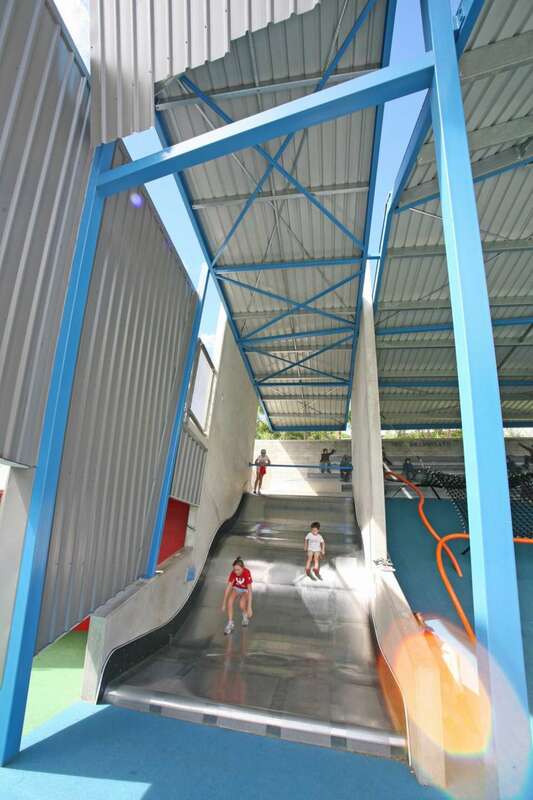 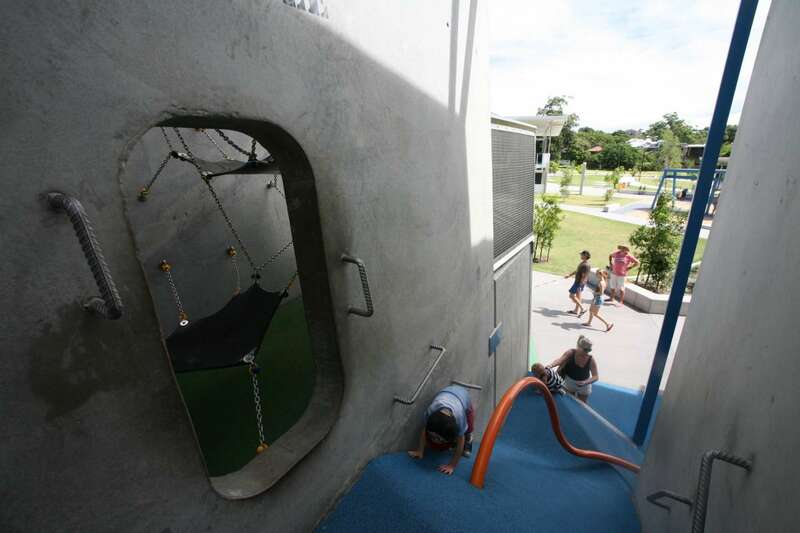 Aside from the fantastic grassed playing field and tennis courts, the piece de resistance is the futuristic playground by the tennis courts and the upstairs cafe and shop where visitors can sit and enjoy a coffee and sweet treat from the upper deck or pick up a tennis souvenir or equipment. 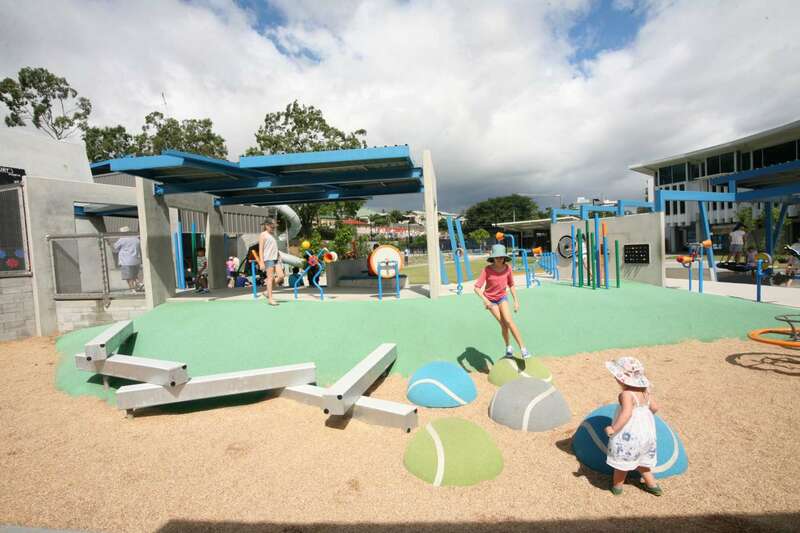 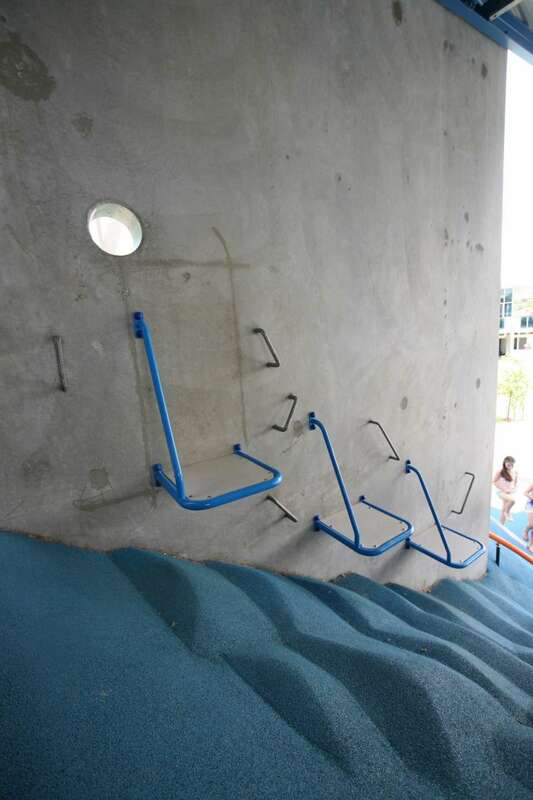 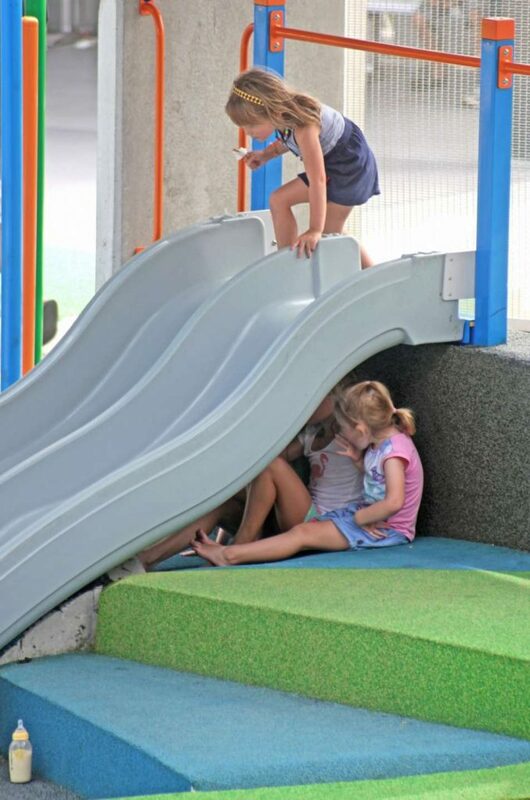 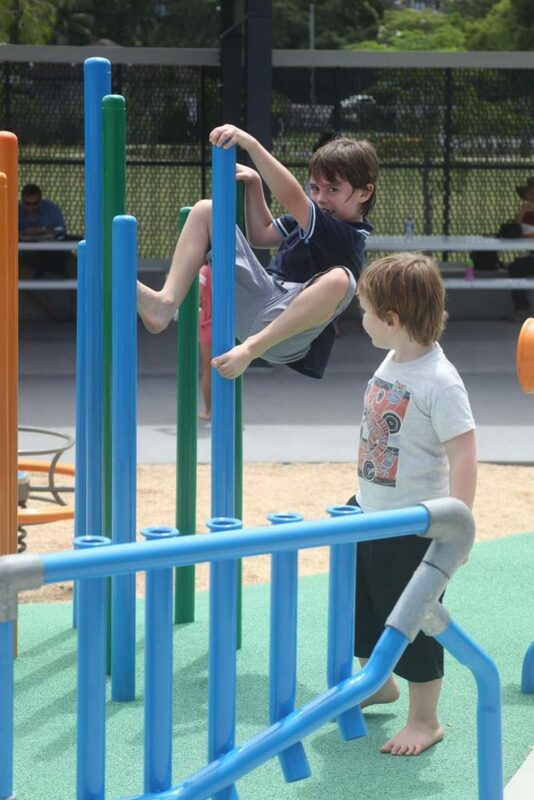 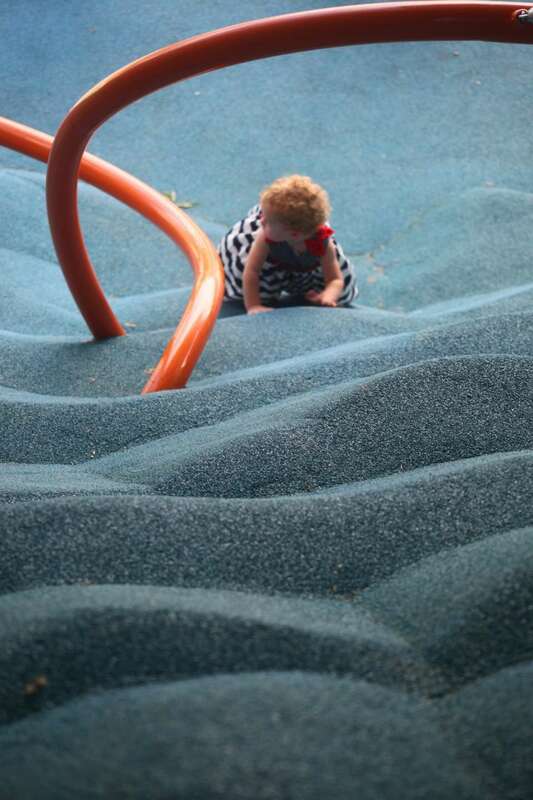 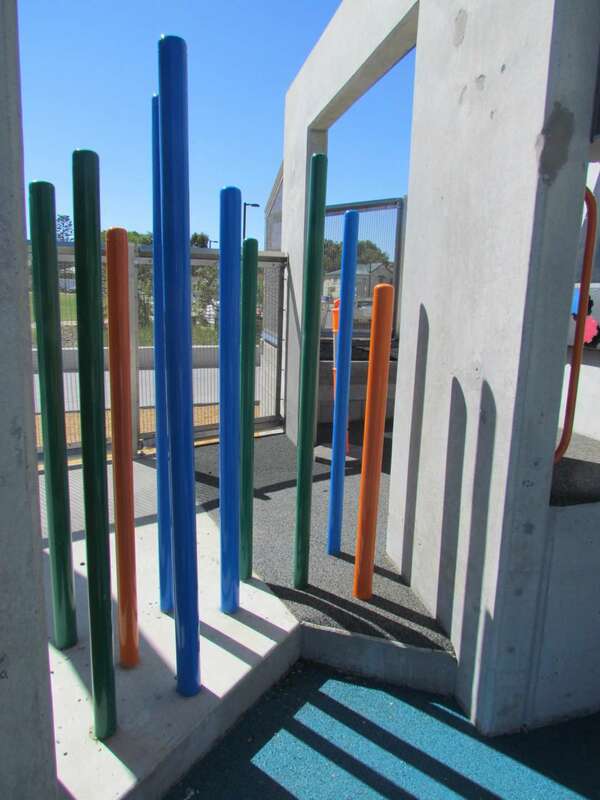 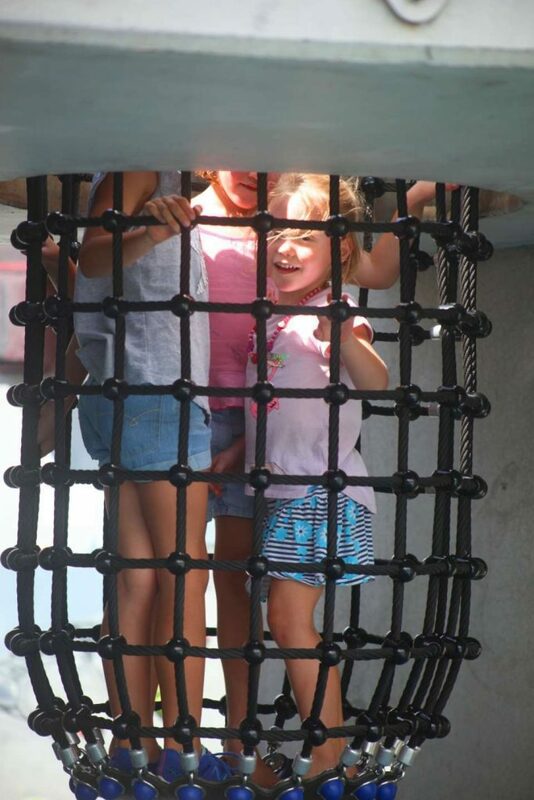 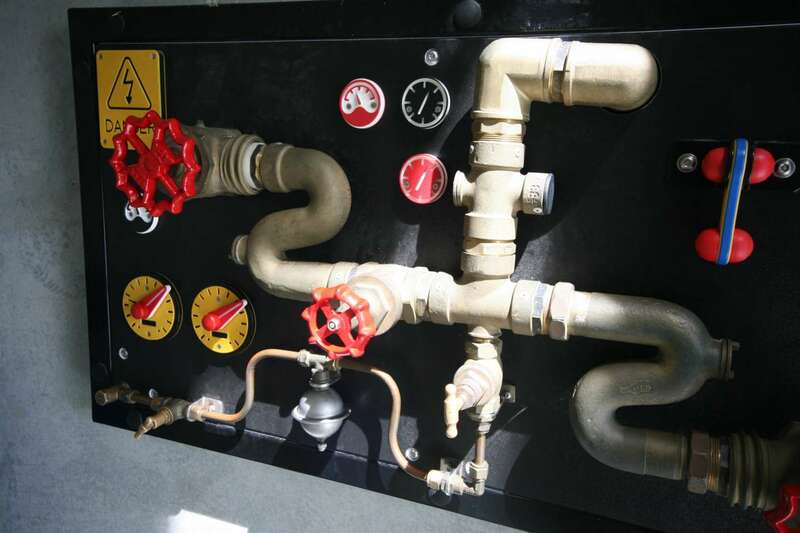 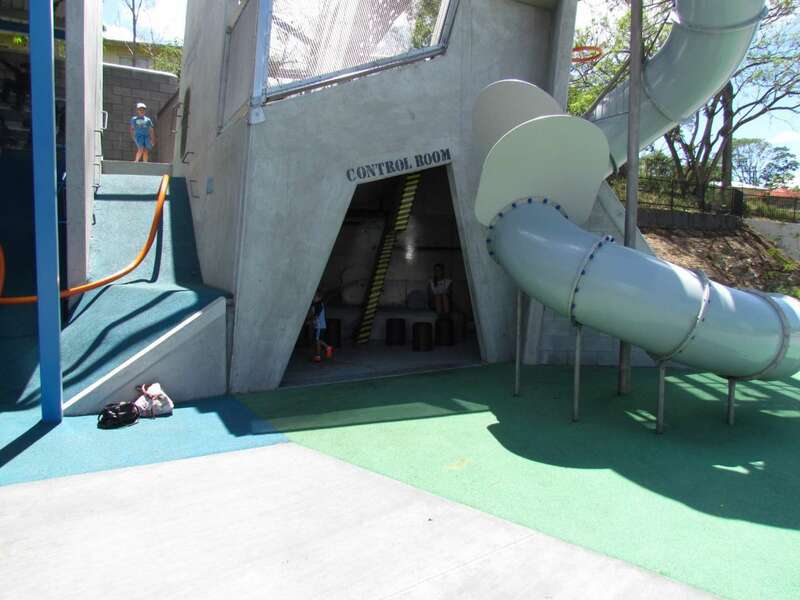 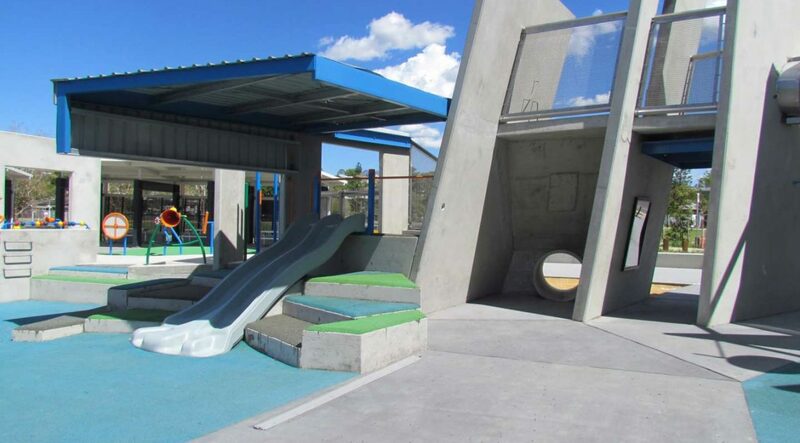 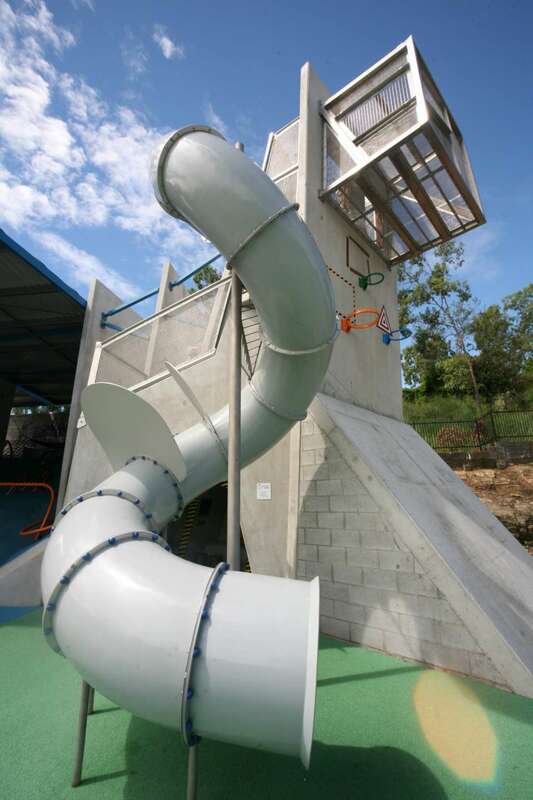 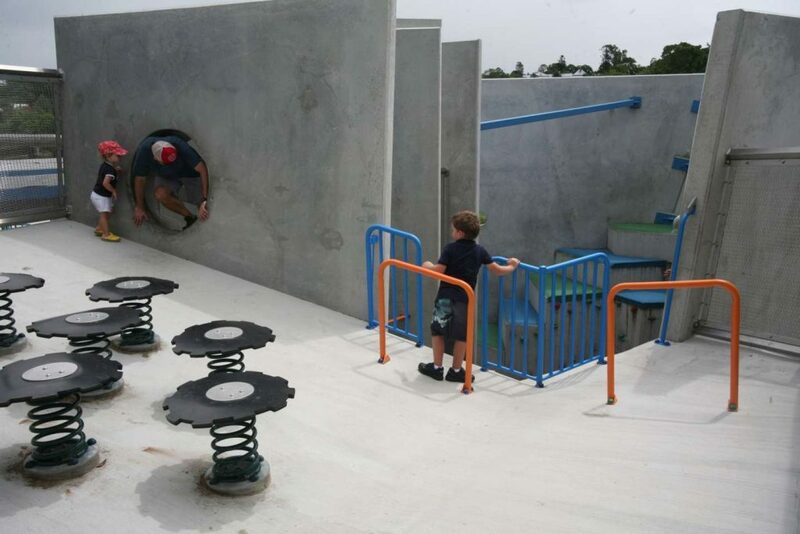 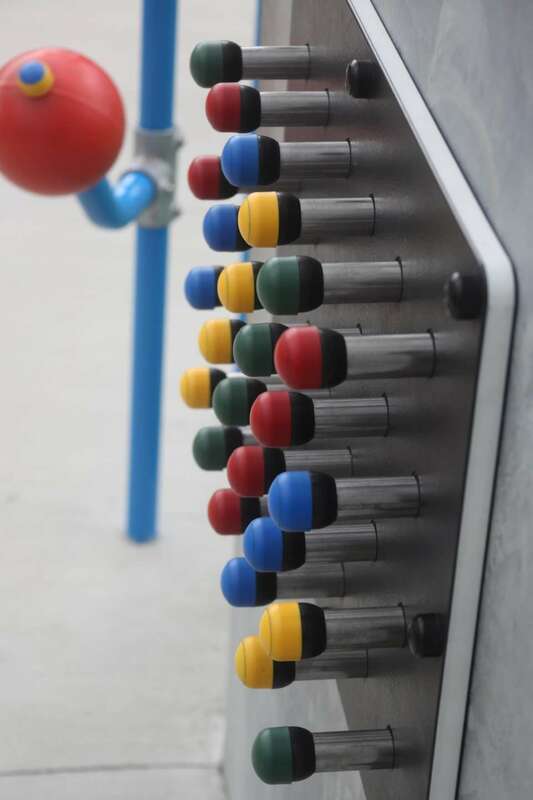 Divided into two sections, this is a top play area for all ages. 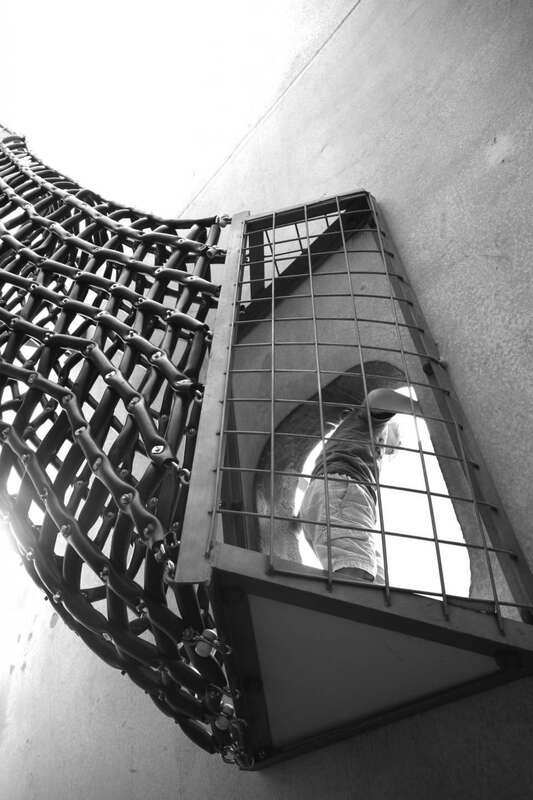 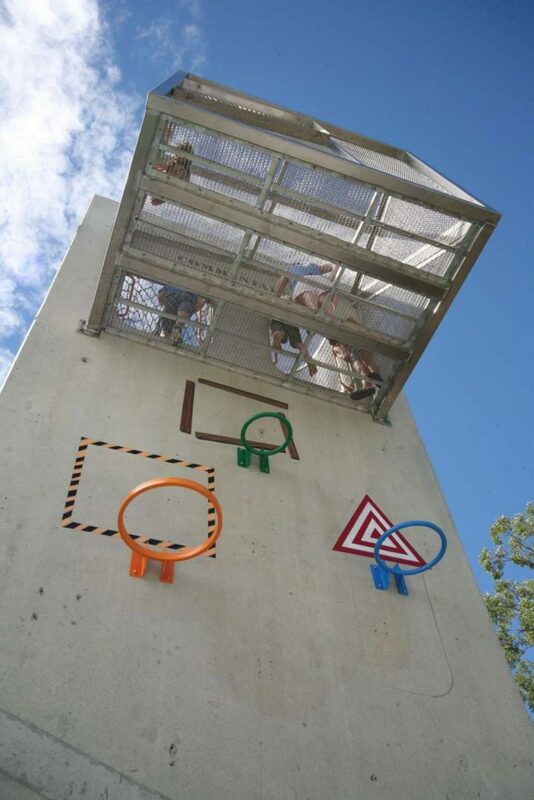 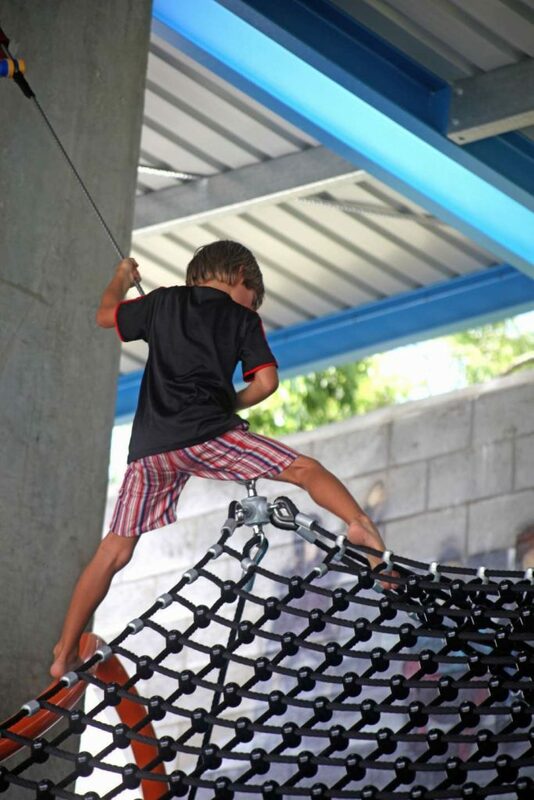 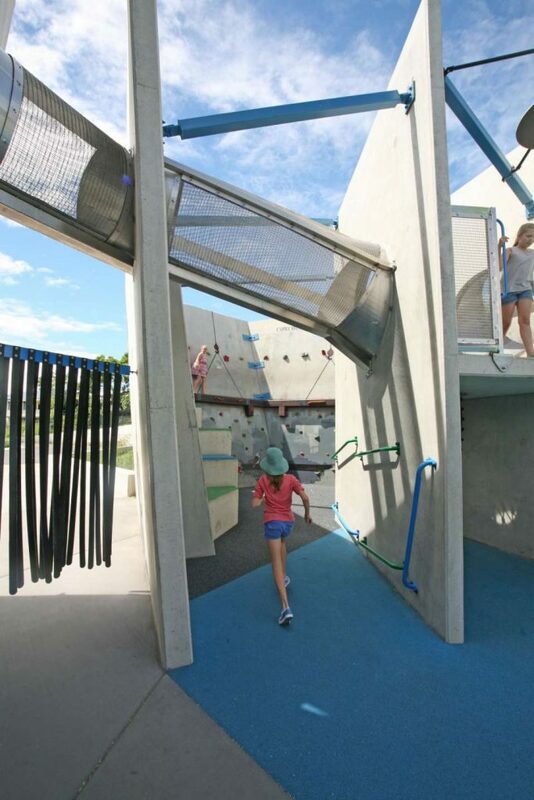 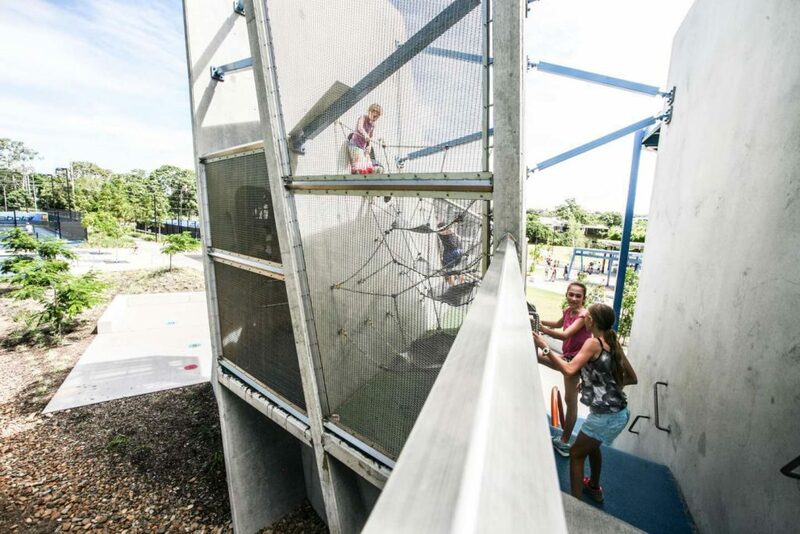 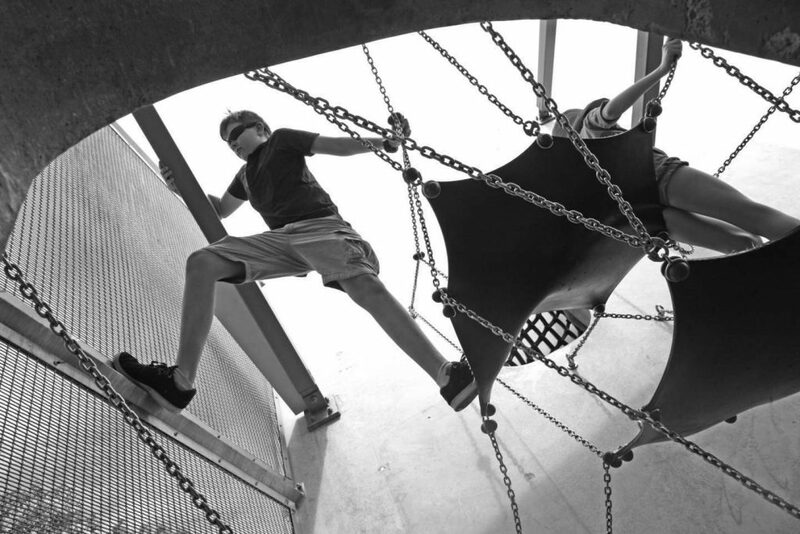 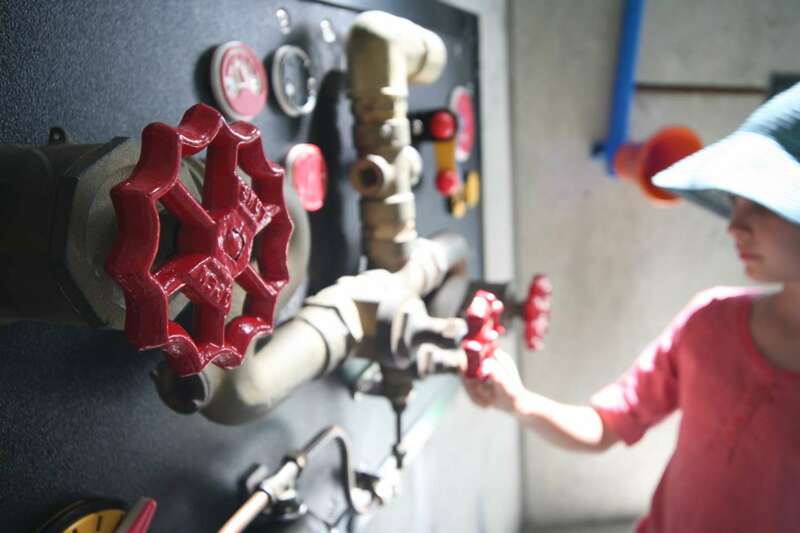 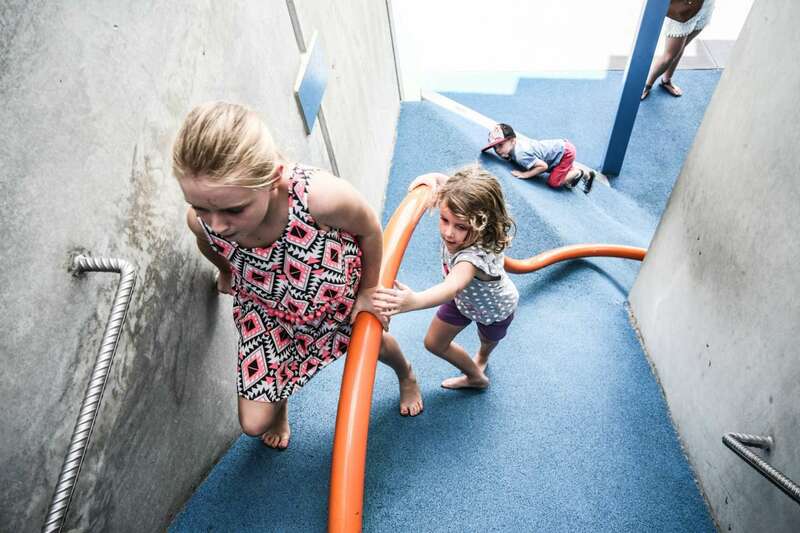 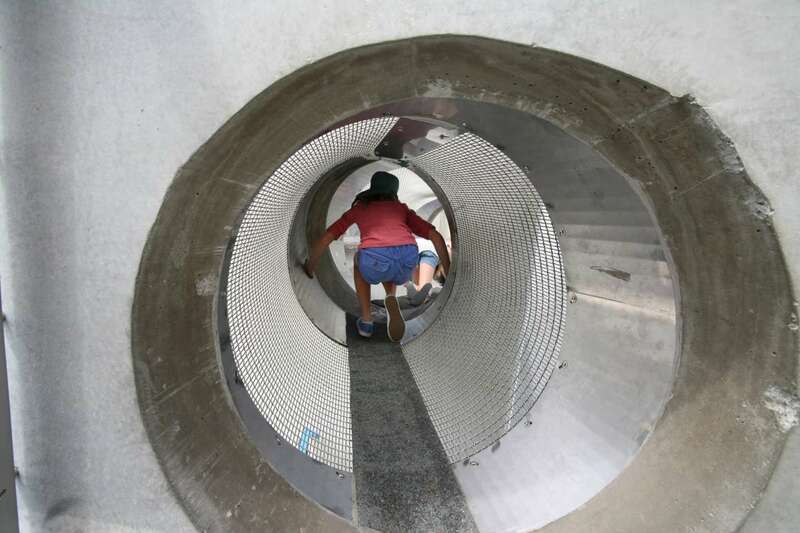 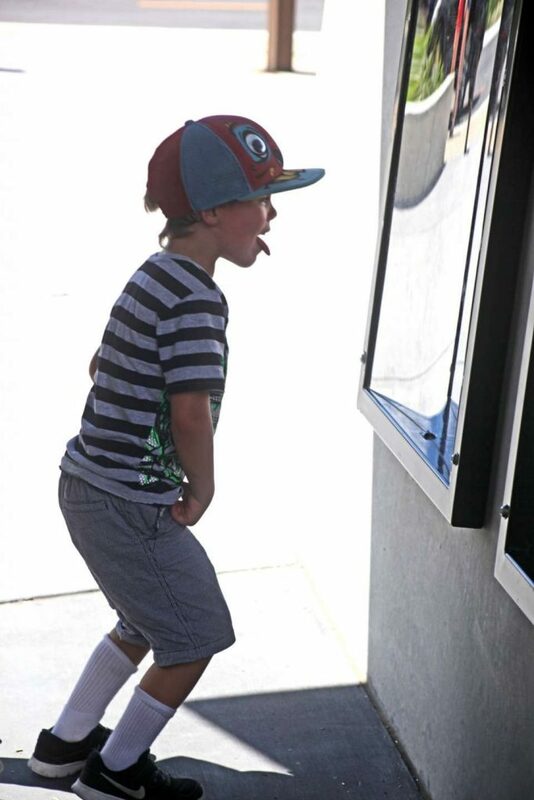 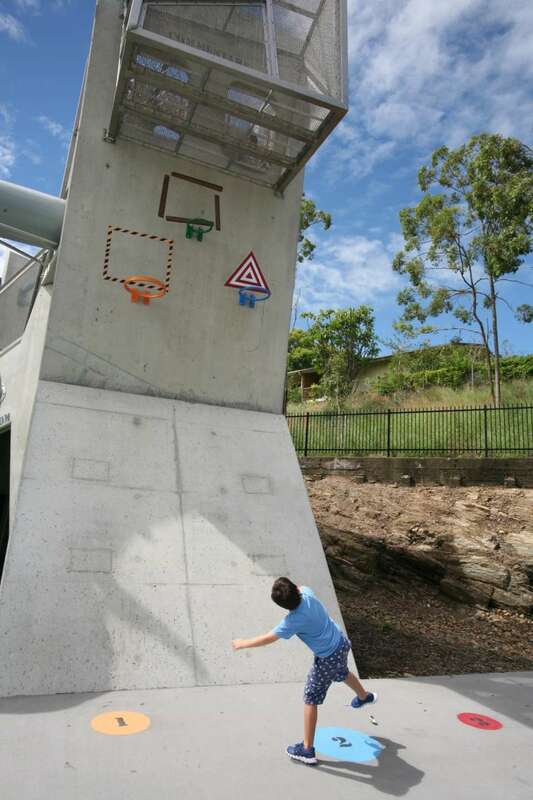 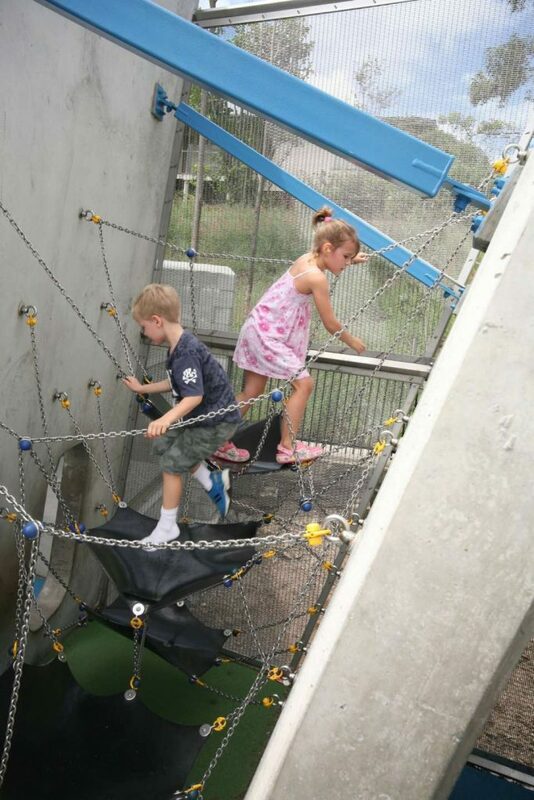 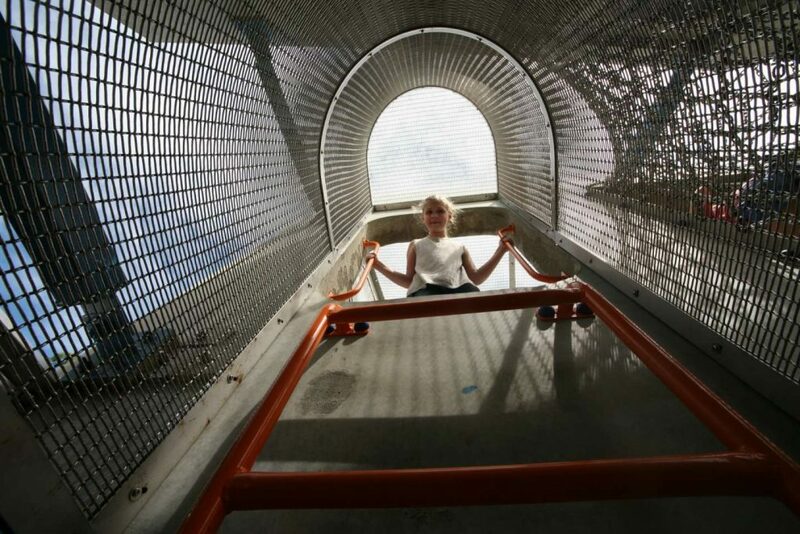 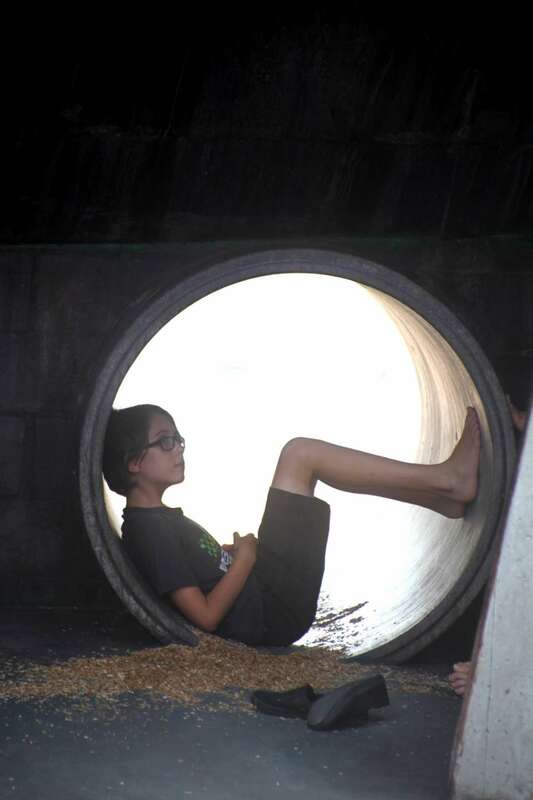 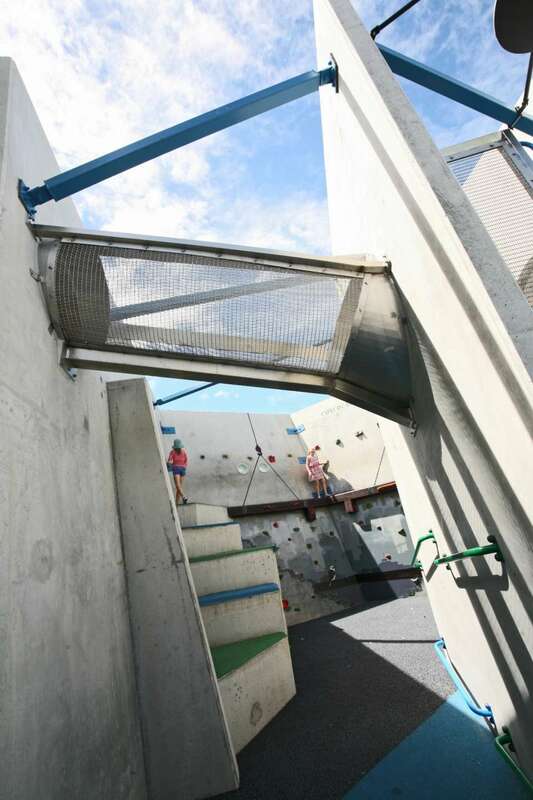 Older children can climb a tower via a net climbing wall, slide down a firemen’s pole, explore the network of linked tunnels and bridges or slide down the mega tube slide. 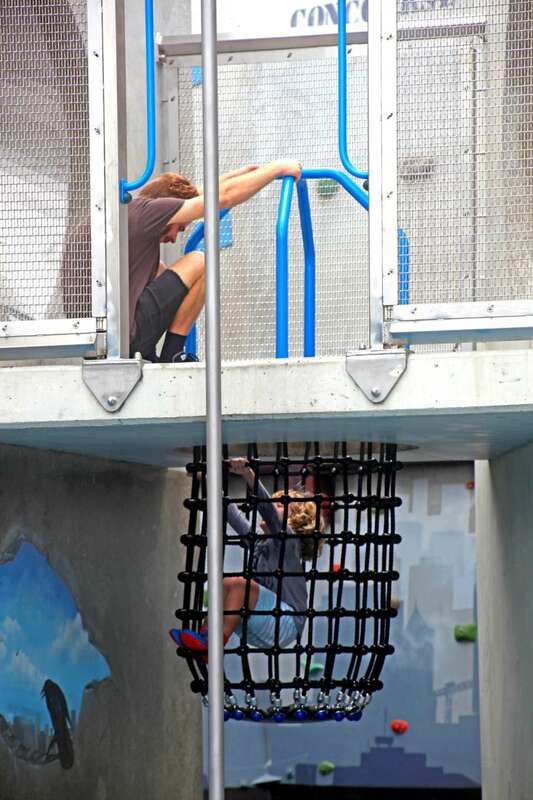 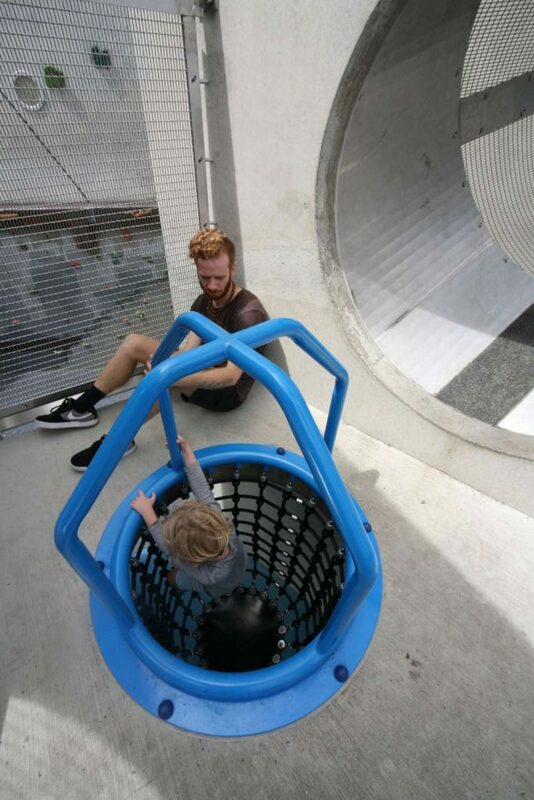 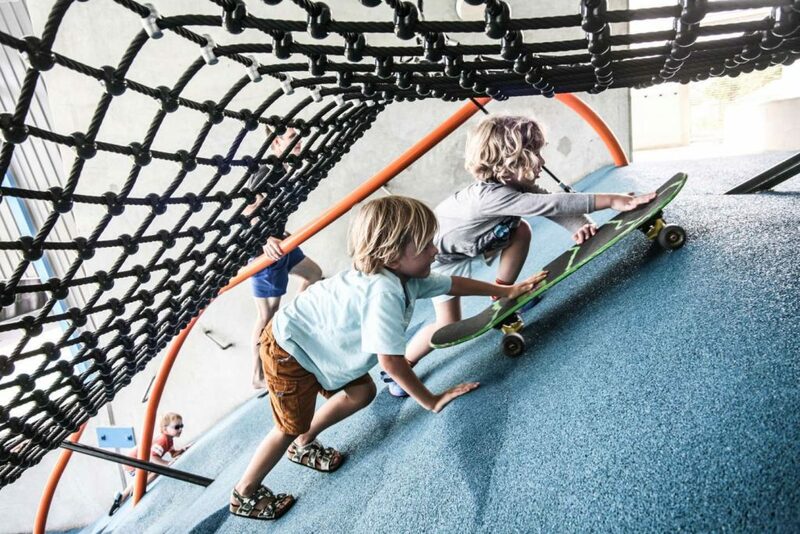 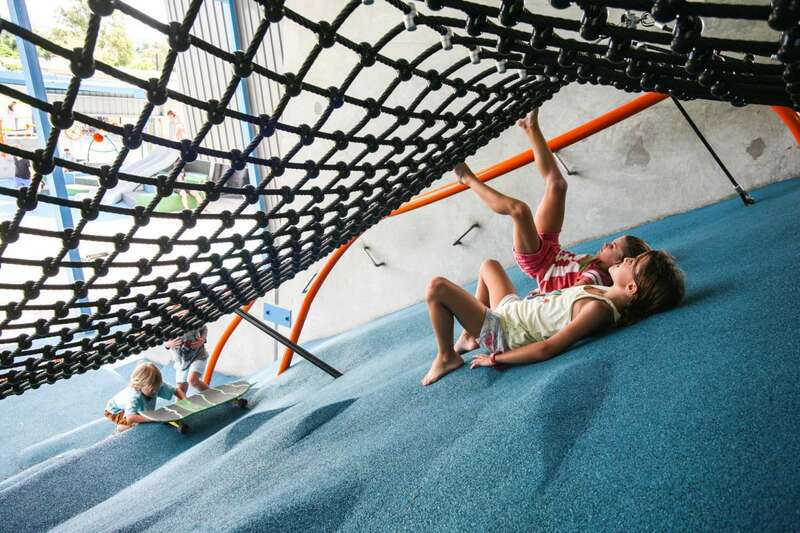 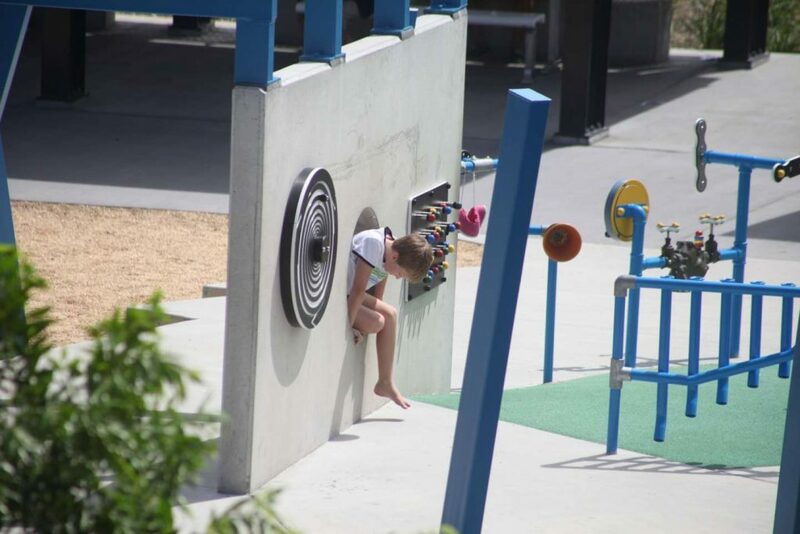 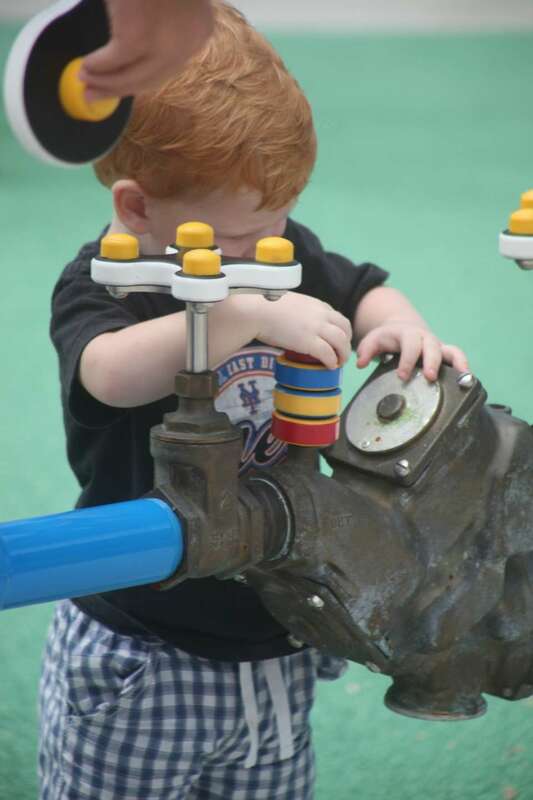 For littlies there’s a mini hirdy girdy, swings including a tyre swing, interactive sound and music play equipment, mini climbing wall and slippery dips. 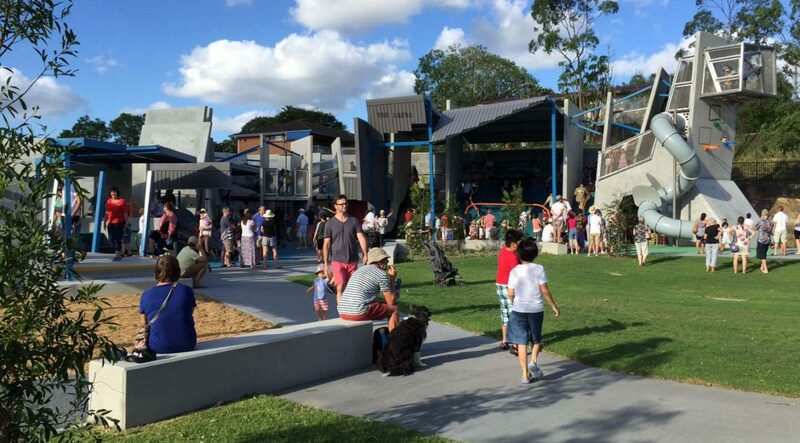 Arranged in a circle around it are a string of BBQ and picnic pavilions perfect for family gatherings and kids birthday parties.